DUG Insight User ManualFrequently Asked QuestionsFrequently Asked Questions HorizonsHow do I export a time-slice as an X, Y, Amplitude map? Go to the Map View > Operations tab. At Area, select a polygon or probe. By default, the new horizon will be named: “constant_value survey/gathers” e.g. 1,500 ms X/Y. Select the volume to extract from. (Optional)Turn off the time slice. 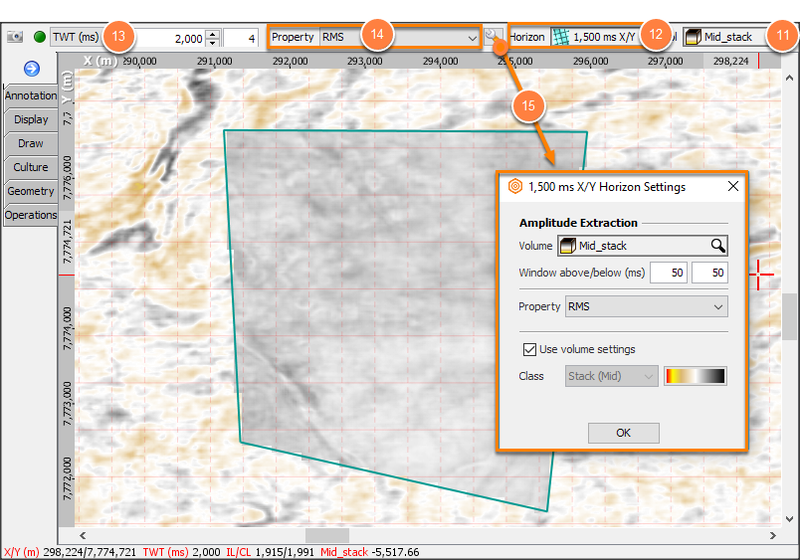 Select the horizon property to extract (e.g. Amplitude). Click the tool button to adjust extraction properties (for windowed properties such as RMS). Click Save horizon as a custom property. Right-click on the constant horizon and choose Export 'horizon_name'. In the Export window, choose Export customised text file. 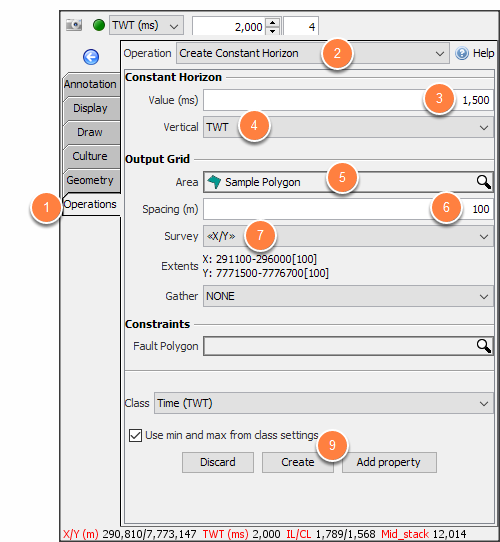 In the Export Horizon window, choose columns X, Y and the custom property. Click OK and save the file in a desired location and name. Prev: How do I pick events on absolute impedance and other non-zero mean data?